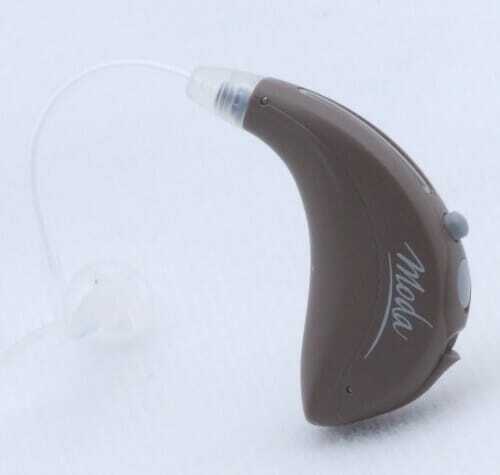 Precise Hearing has replaced this with newer Unitron models. The Unitron Conversa.NT Moda is fitted with nearly invisible slim tubes and are paired with small earbuds that leave your ear canal open and feeling comfortable. Because your ear canal is left more open, the plugged up feeling that traditional hearing aids cause is diminished. The open fit also allows you to hear your own voice more normally. Unitron Moda Conversa.NT’s tiny profile, coupled with inconspicuous slim tube open fittings, also make it the cosmetically appealing choice. Conversa.NT’s open fit delivers a much more comfortable hearing aid. The Conversa.NT Modas will make a big difference to your quality of life, but no one will notice you are wearing them.